What’s the value of a material thing? When clothes come at the expense of vulnerable societies, drinking water, clean air, and our world’s oceans, the price is astronomical! On December 11, 2018, I had the opportunity to sit down with some pretty phenomenal women. We didn’t simply have a chat about conscious consumerism. 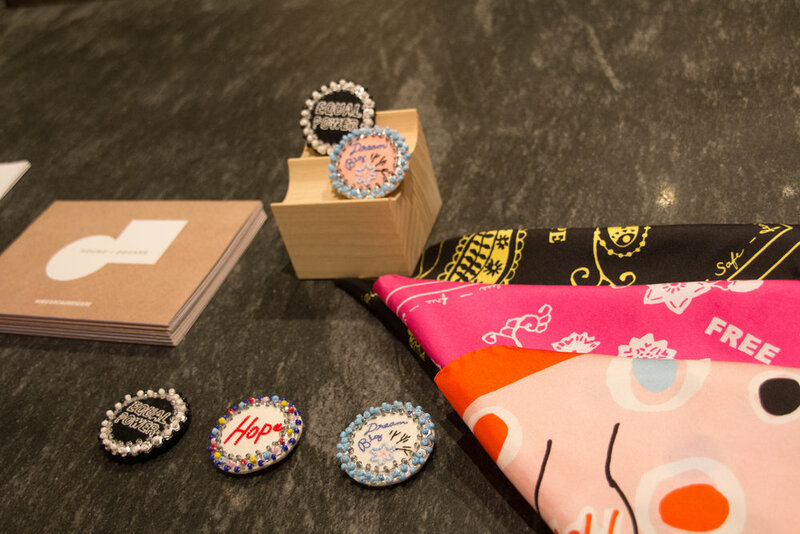 We actually wanted to help peel back the layers of fast-fashion with actionable tips that can help our society make decisions that truly make an impact. 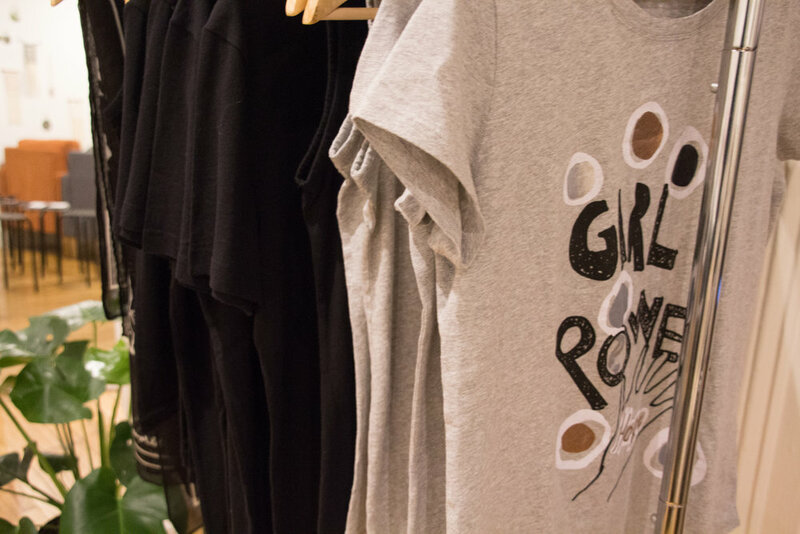 Sitting beside the founder of Round + Square, Henriette Ernst, meditation maven, Gemma Lewis, and Sustaining Life editor, Faye Lessler, we wanted nothing more than to share and inspire for a more ethical and sustainable tomorrow. 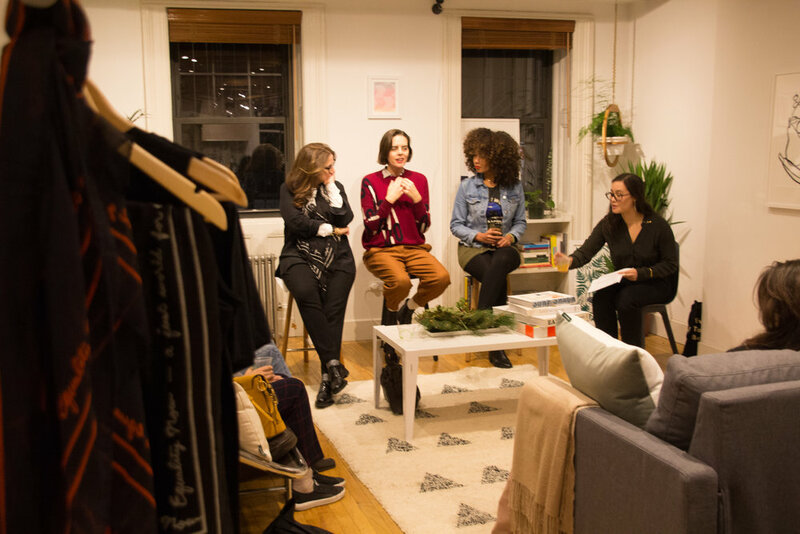 Nestled in a townhome in Brooklyn at the Beyond Conscious Consumerism panel, it wasn’t just about ideals, thoughts, and values, it was about real-world change, and it all starts with education! There are thousands upon thousands of people out there who are distraught over the state of our planet. But, besides being advocates on social media, what more can they do? We’re working to bridge the gap between the keyboard warriors who call out injustices online to the people on the ground who are literally fighting for change. If you listen to the news or read environment-centered online publications, you’ve probably heard of microplastics. But do you actually know what they are? Microplastics are considered any form of plastic debris less than 5 millimeters in length. In 2015, the Obama administration and U.S. Congress signed the Microbead-Free Clean Waters Act which prohibits the manufacturing, packaging and distribution of rinse-off cosmetics containing plastic microbeads. This law also applies to products that are both cosmetics and non-prescription (also called “over-the-counter" or "OTC") drugs, such as toothpaste. But this monumental piece of legislation did not include plastic microfibers that are released into our waterways via washing machines when we clean our synthetic fabrics made from acrylic, polyester and other various blends. And before you brush-off these tiny pieces of plastic as an issue that future generations will have to deal with—reconsider. Microplastics have been found in bottled water, the fish we eat, the soil that nourishes our crops, and even in human stool! It’s shocking, right? The line of consciousness, even for the most well-intentioned, can sometimes feel blurred. That’s why we want to create a world where companies have no option but transparency—from the supply chain to the factory floor! Before we can make conscious decisions, we first have to understand the depth of the issues we face. “It’s all about the laws, lawmakers, and the people. Research candidates, what their proposal looks like and how it affects you and the causes you care for. Take time to read and research. And bring that knowledge to the polls. Educate the people that don’t know about it but want to make a difference too,” said Henriette. And more than that, we want to help empower people, so they realize that change doesn’t just happen when you’re going to make a purchase. It happens long before that. We live in a world where simply washing our clothing can cause havoc for entire ecosystems! At this point, it’s not enough to wish or hope for a better tomorrow. We have to take action today. In order to accelerate humanity into a regenerative and healthy future, we must examine our daily behaviors that sever our intimate connection to the planet and each other. It's up to the each of us to acknowledge flawed designs and innovate better solutions for the betterment of all living things on Earth. That begins and ends with the commodities that we choose to purchase individually. When it comes to taking care of our planet and ourselves, we have a long way to go. Take a look at some of the highlights from the Conscious Consumerism panel to get a better understanding of what we’re up against and read some ideas of thoughtful solutions!